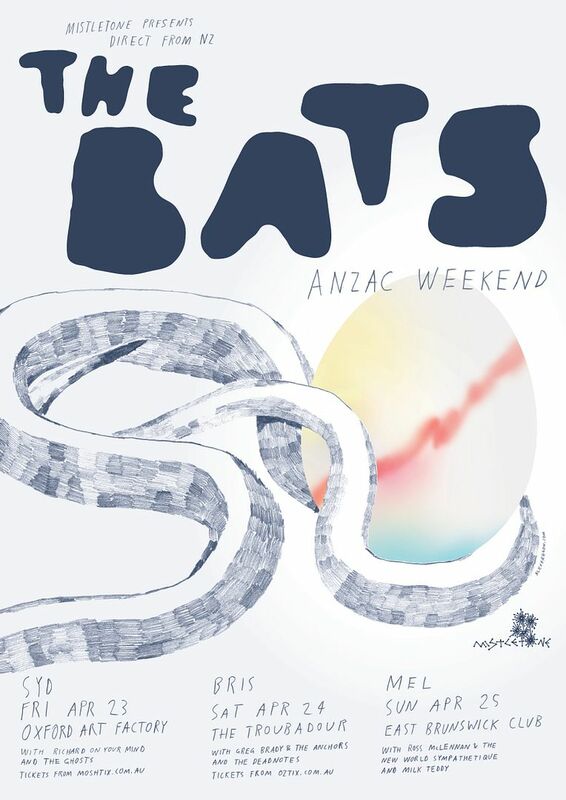 The Bats Australian tour 2017. Artwork by Robert Scott; design by Alex Fregon. The Bats headlining Melbourne Music Week Opening Night curated by Mistletone, 2013. Artwork by Ben Montero. 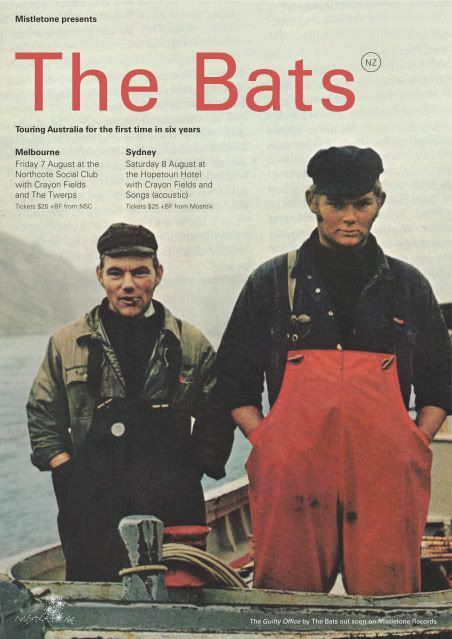 The Bats Australian tour 2011. Artwork by Alex Fregon.